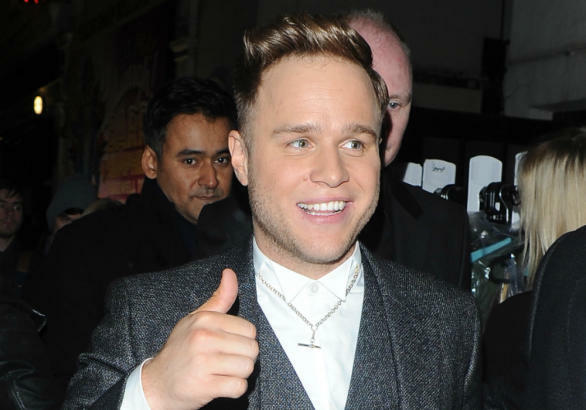 Olly Murs has backtracked slightly on his comments about James Arthur, revealing that he didn't mean to defend the 'Impossible' singer over his alleged homophobic slur. The Essex lad took the opportunity to clarify his recent comments during an interview on Radio 1 this afternoon (November 26), refuting claims that he had stuck up for the 2012 X Factor winner. Reports surfaced yesterday claiming that 29-year-old Olly had pointed out James had apologised before adding that he would give the star “the benefit of the doubt” when it came to the offensive comments. "I just think sometimes when your back's against the wall you just say things and you probably don't mean it. So I give him the benefit of the doubt," he added. However, after Twitter users were outraged at Olly’s show of support for James, the singer took the opportunity to clarify his statement live on the BBC radio station, telling fans that he was not supporting or pardoning James’ use of the phrase “a f**king queer” in a diss to unknown rapper Micky Worthless. “I am not defending James’ use of homophobic language,” he told Scott. 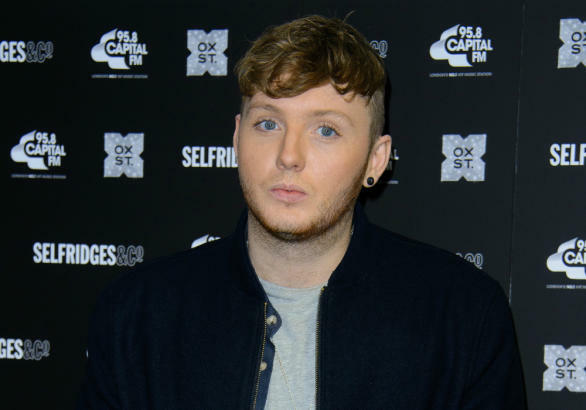 The slur has caused other problems for James, who then became embroiled in a row with fellow X Factor contestant Lucy Spraggan, who criticised James via Twitter. In texts posted on Twitter by the female singer, James appeared to ask Lucy why she was “having digs” at him and questioning her motives. Middlesbrough-born James later quit Twitter handing control of the account over to his management, ‘James Arthur HQ’. James is currently taking time off after being diagnosed with acute exhaustion and will make his return to the spotlight this Sunday (December 1) when he performs on The X Factor results show alongside Rebecca Ferguson. He will begin his first ever UK headline tour in January, performing at London’s Eventim Apollo and the O2 Academy Leeds before two shows in his home town, Middlesbrough. Olly is busy promoting the re-release of his double-platinum selling album ‘Right Place Right Time’, which is has been re-issued as a special edition set with seven extra tracks for Christmas. His latest single ‘Hand On Heart’ was released today and the star will be hoping to score his seventh top 10 hit with the track. Doctor Who: The Day Of The Doctor Beats The Hunger Games: Catching Fire In New Box Office Numbers!